Amazing photo taken at Kahala Beach on the Island of Oahu. 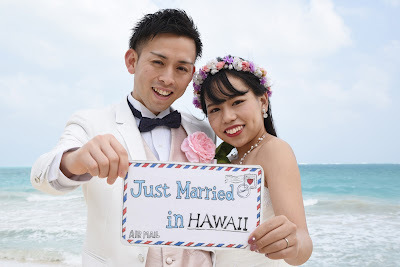 Cute little Airmail postcard idea. Can you think up any creative ideas to liven up your Hawaii wedding photos? Japanese Bride NATSUKI at Kaimana Beach with yellow & white flower bouquet. 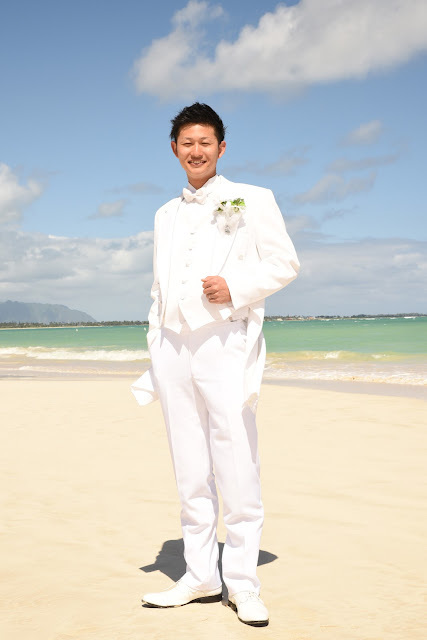 Sometimes we may enlist the Groom to hold the Bride's dress. 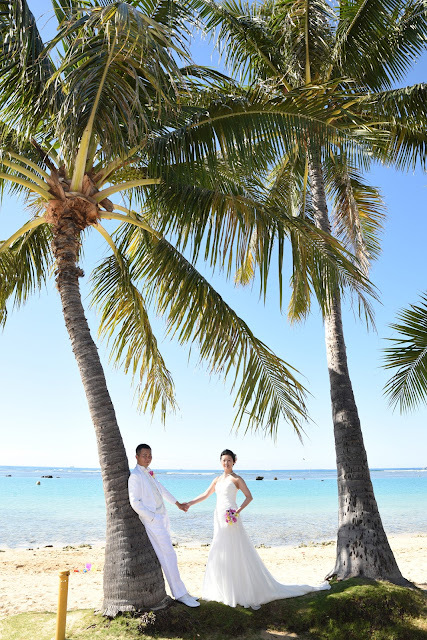 Nice effect. 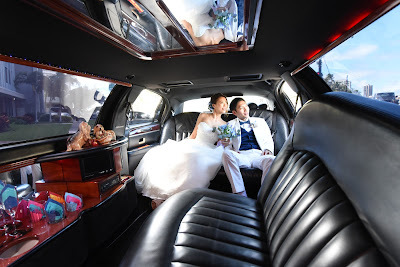 Bridal Dream Wedding Company is available to reserve your wedding transportation in Honolulu. Classy transportation on the Island of Oahu. 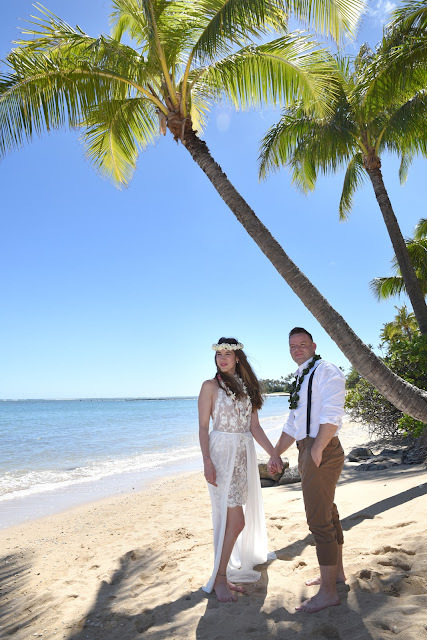 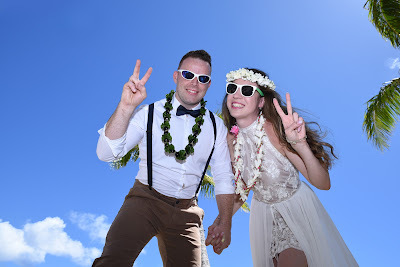 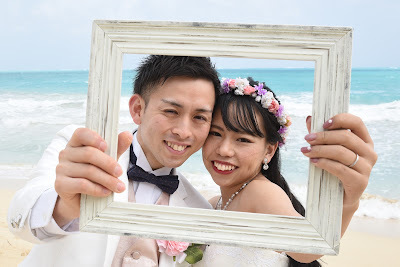 On your honeymoon in Hawaii it's popular to rent a lovely wedding dress and white tuxedo and visit one of Oahu's best beaches for awesome wedding photography. What a wonderful souvenir to bring home and show off to your friends & family! 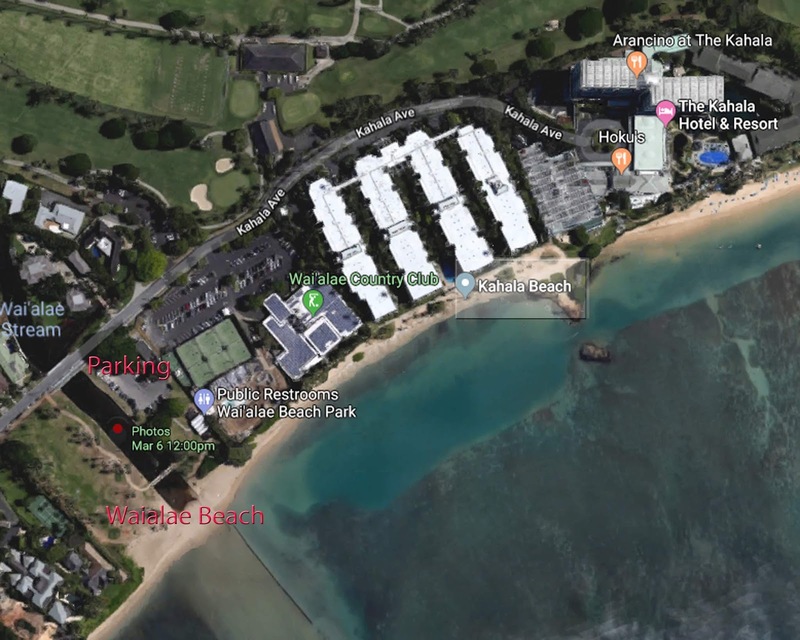 Here is a Google Map of Waialae Beach Park, Waialae Country Club, Kahala Beach, and Kahala Resort Hotel. 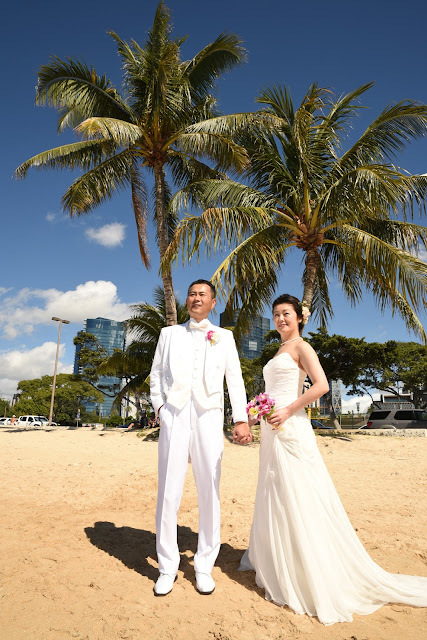 We park our cars at Waialae Beach Park and walk down the beach about one block to Kahala Beach, our favorite Honolulu wedding location. 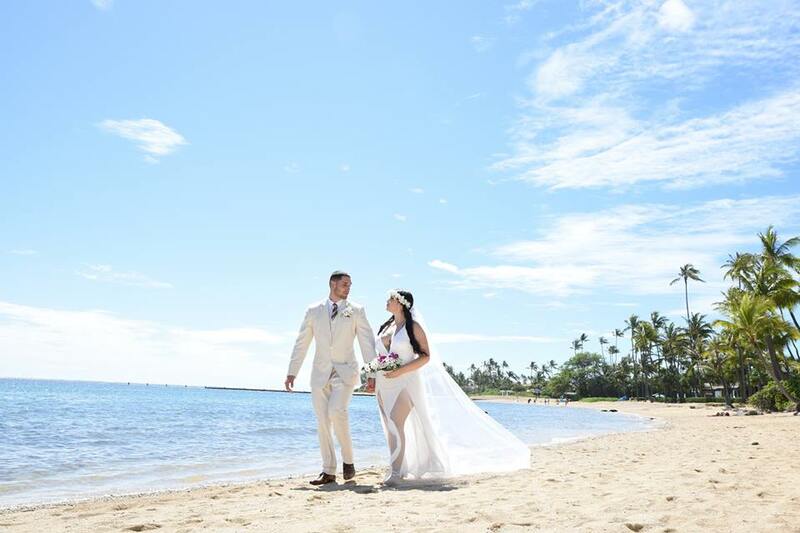 For couples who have difficulty walking long distances you may wish to be dropped off at Kahala Resort Hotel for a shorter walk. 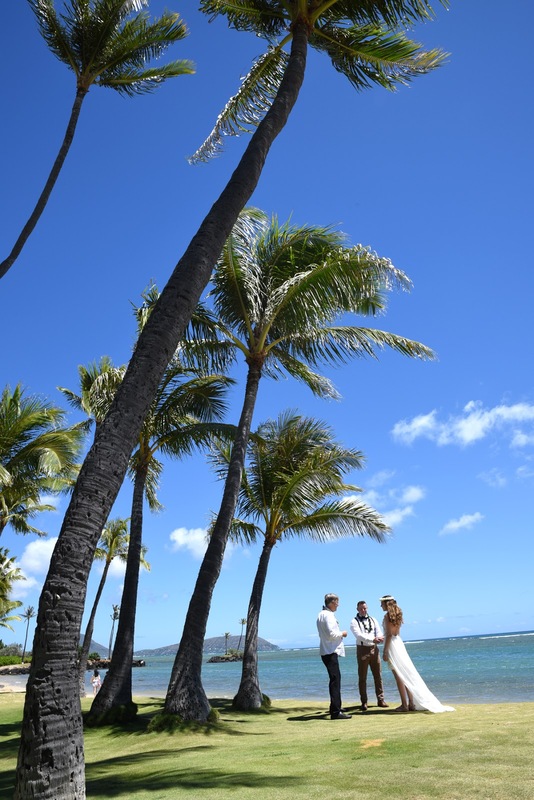 You may also have your wedding ceremony at Waialae Beach Park.